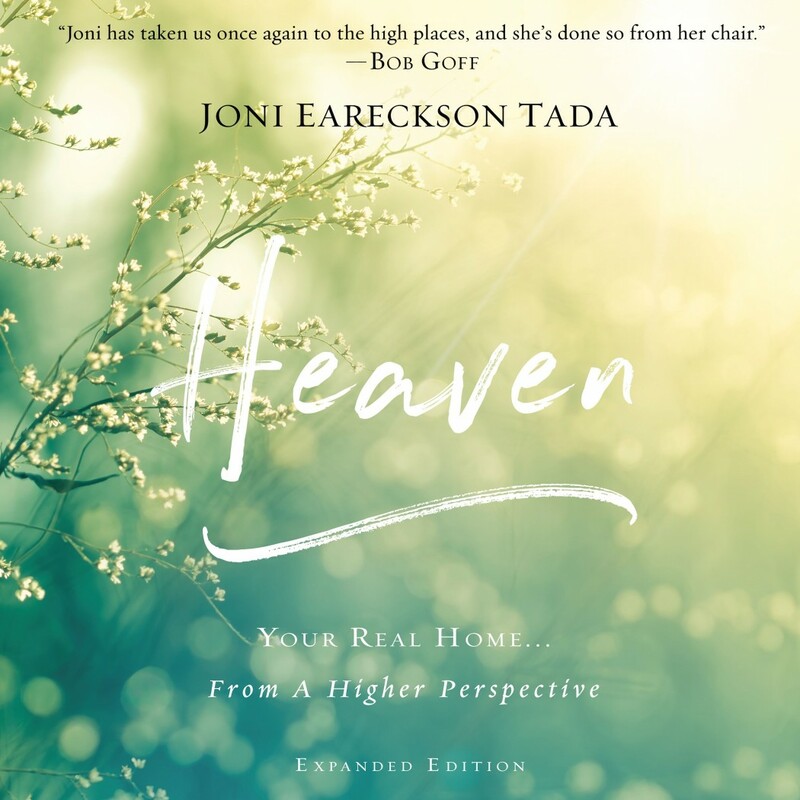 Heaven | Joni Eareckson Tada | Audiobook Download - Christian audiobooks. Try us free. For the past 25 years, Heaven has inspired us to live well on Earth even as we long for eternity. Drawing on Scripture, Joni Eareckson Tada answers the deepest questions of our hearts about what heaven will be like, who we will see there, and who we will be there. This updated and expanded edition of Joni's classic brings a new understanding of what heaven is, along with new mysteries and hopes. Now in her late 60s, Joni is much closer to heaven than she was when she first wrote the book in her mid-40s. And she says, "I will soon - soon! - hear His voice, look into His eyes, and feel His embrace. And He will say, 'Welcome home, Joni." It is from this vantage point that Joni now speaks about how we can live for Jesus as we look forward to our real home. As a quadriplegic for 50 years, Joni has also endured cancer and extreme ongoing pain. She doesn't speak lightly when she reminds us that, "God knows the precise tools to use in your life to cut, facet, cleanse, and refine the diamond that is your eternal soul.... Every good thing that God has ever given you will last for all eternity - including the best part of every affliction." In the audiobook companion PDF download, Joni includes additional reflections correlating to each chapter that speak to where she is now, higher up on the hill of perspective. She calls these thoughts Climbing Higher, and that's her invitation to all who make this journey with her.